What an amazing time we had last night at the first ‘The Burning Sand’ night at Jim Lambie’s delicious new Poetry Club in Glasgow. The beautiful Sarah Lowndes invited me to read there and it was a real honour to kick off the night with some poems about sand, love, burning sand, burning love and… Sweden! Sarah then read some of her amazing poems on topics as varied as the alphabet and Facebook, and we sadly had to dash off to catch the last train in the middle of a fabulous set by the Domino-signed Glasgow band CORRECTO (Danny Saunders, the painter Richard Wright, Robert McCaffrey and Franz Ferdinand’s Paul Thomson), to be followed by music from DJs, including artist Torsten Lauschmann and Anna Cook. Everyone was so lovely and kind, and It was a treat to get introduced to Bobby Gillespie from Primal Scream by Jim on the way out. 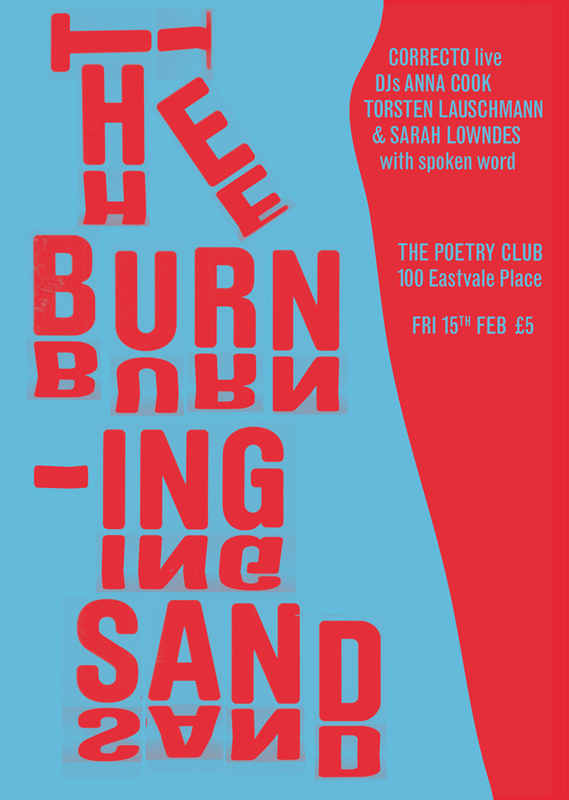 Do check out The Poetry Club and The Burning Sand… they rock.